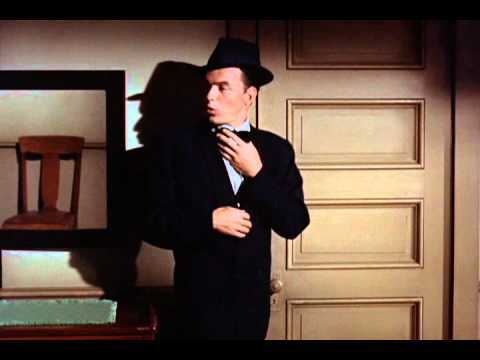 PAL JOEY has Frank Sinatra’s title buddy use the phrase “ring a ding”. The 1957 feature is awash with allusions to the ‘Frank’ persona that put Squares & Clydes on hold for a good half-decade, until electric guitars blew the Rat Pack’s fuse. Or, like..Oversville, Sam. When a hip is a heel. Joey uses his, er…charm…on ‘mice’ (that would be women), drives a T-bird convertible, wears the hat, grabs the mike, looks primed to “Fly Me to the Moon” if someone has a Magnavox hi-fi handy. 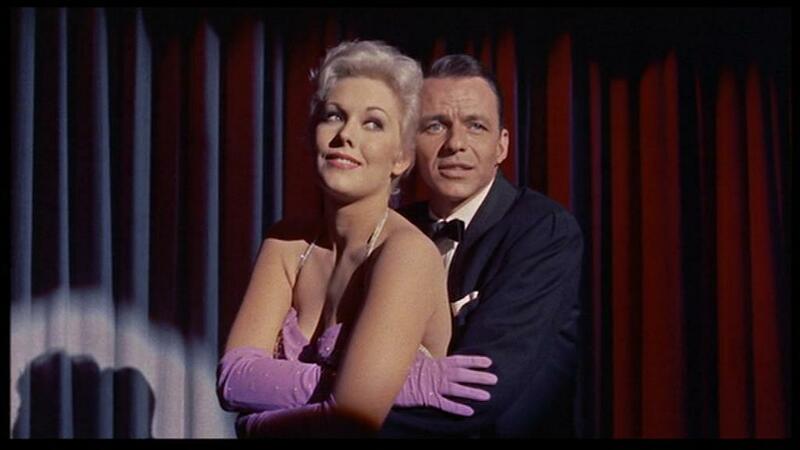 Rita Hayworth, still an eyeful, if noticeably fading (years of booze and the wrong men) got official lead billing (Frank insisted), but the plot has art imitating life as newcomer Kim Novak gets more display. 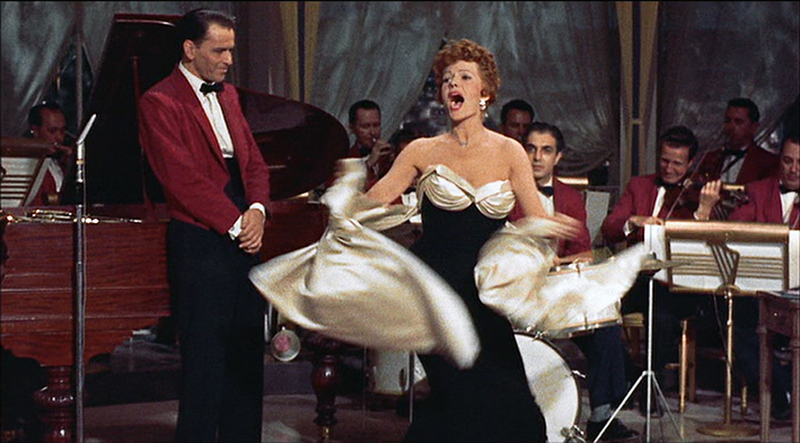 Ringing up $13,400,000, the movie dinged spot #9 of its year, looks snazzy in color, and features slick Nelson Riddle arrangements of “Bewitched, Bothered and Bewildered”, “My Funny Valentine” and “The Lady is a Tramp”. With Barbara Nichols, Bobby Sherwood and Hank Henry, plus Barrie Chase is dancing in there somewhere. Art Direction, Costume Design, Sound and Film Editing all snagged Oscar nominations. George Sidney directed (what Frank let him). Oh, Joey–he is pretty much a jerk.